Adding a new class to the game is quite a remarkable event. We wanted to pay special attention to it and to tell you about the reasons for submarines being added, as well as their nuances. 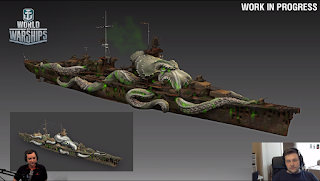 World of Warships is a game about naval battles in the WWI and WWII setting. Submarines played a special role there, while being a unique type of naval combat unit with their own set of tasks and missions. In real life submarines rarely participated in actual combat, mostly resorting to attacks on supply convoys, that were particularly vulnerable to underwater assault, no thanks to their limited defenses. It means that to organically include the subs into our existing battle paradigm is quite a conundrum. 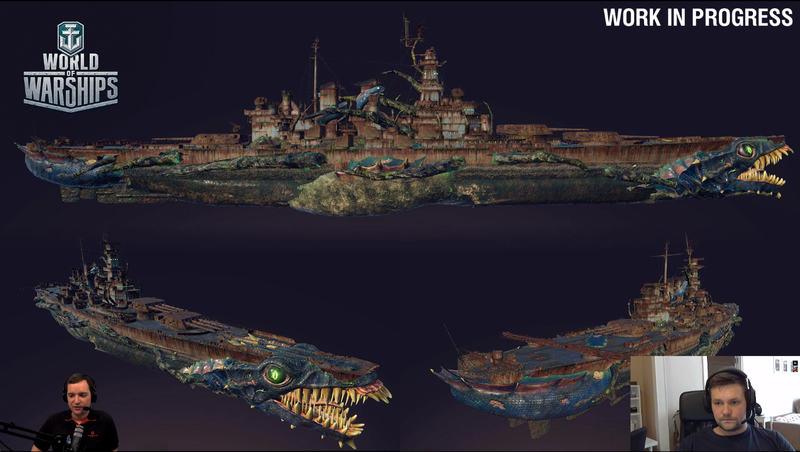 That said, our players really wanted “hunters of the depths” to make an appearance in the game sooner or later and we ourselves understood that subs are so significant that we couldn’t forego them and they had to be implemented. At the same time we needed to focus on the existing classes, help them evolve and optimize their particulars. 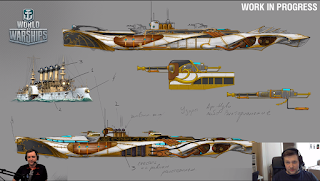 However, we couldn’t simply forget about submarines and came back to the idea again and again in search of a concept that would work with the realities of WoWs. The first prototypes that we’ve tested internally oftentimes came down to being smaller destroyers. This vision was far from perfect, since we were trying to make them a class of their own, even if it is ultimately based on the existing mechanics. After many iterations we’re finally ready to reveal the one that successfully passed many of our tests. Every class has its own distinct gameplay. Subs are no different in this aspect and they receive a new dimension of movement – depth. 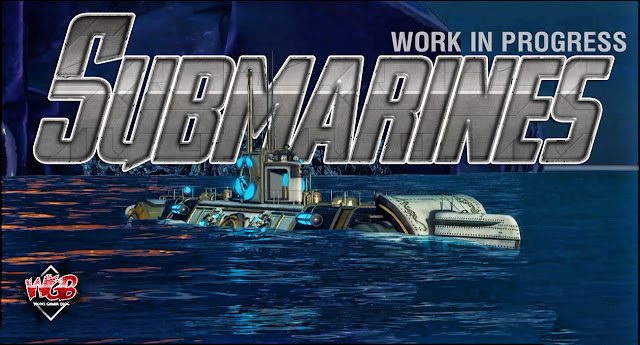 Players will be able to freely move between three submersion levels – surface, periscope and completely submerged. 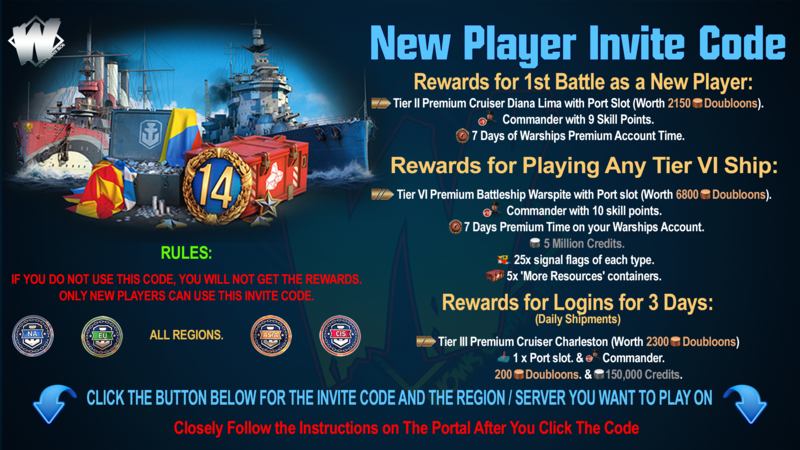 Each of these levels will affect the speed, concealment and attack options of submarines. They won’t just be able to submerge and look at the underwater scenery but use it as a tactical advantage. One can attack the opponent using the forward mounted torpedo launchers and then, after going past said opponent under the surface, use the rear-mounted launchers for added effect. Torpedoes will be the main weaponry for subs. Players will be able to launch each projectile independently. Several torpedo models can be carried by the same submarine simultaneously. One of the main parameters that players will have to keep in mind is the remaining oxygen. Subs will refill their air tanks while on the surface and use it while submerged. Depth charges are going to be the main weapon against subs. They are dropped from the ships and detonate reaching the submarine either at a particular depth or after some time. Significant area of effect damage makes them particularly dangerous and being in that area can end very badly for the submarine. Satisfaction from a perfectly executed attack after which you can figuratively dissolve into the deep dark waters, never to be found. We do need to run extensive tests before implementing this new class, as well as collect detailed feedback and performing some significant adaptation and fine-tuning. That’s why you won’t find any subs in random battles at first. However you will be able to try them out in the new Halloween mode where the format allows us to do some testing and experiment freely without affecting the main game modes. 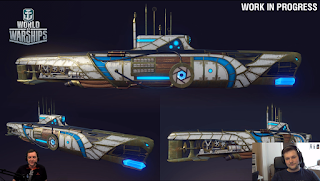 You’ll be able to try out several steampunk-inspired submarines in the new scenario, fighting against the forces of evil and setting the world free from them once and for all, should you be successful. New operation will have three stages; each stage will be harder than the previous one. 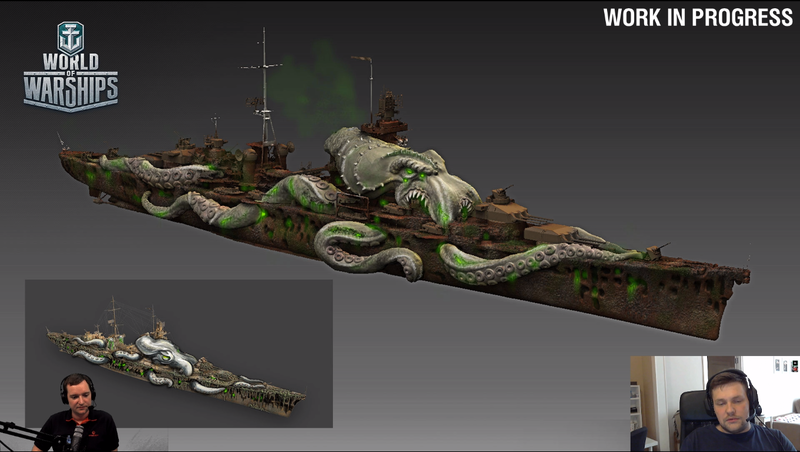 During the first stage you will face big and sluggish ships. After that you will deal with the cruisers. 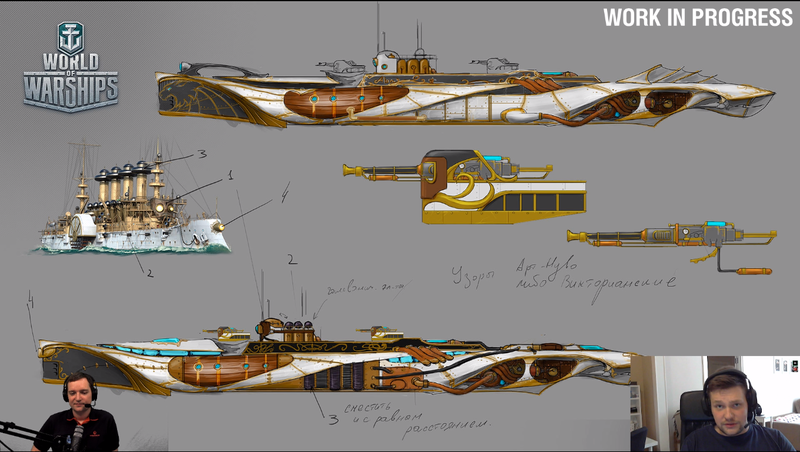 Your final task will be to sink Rasputin but destroyers, your main enemy, will get in the way of your work. The main goal of this event is to test the interaction between the submarines and the ships, the level of attack’s comfort and some other important details. 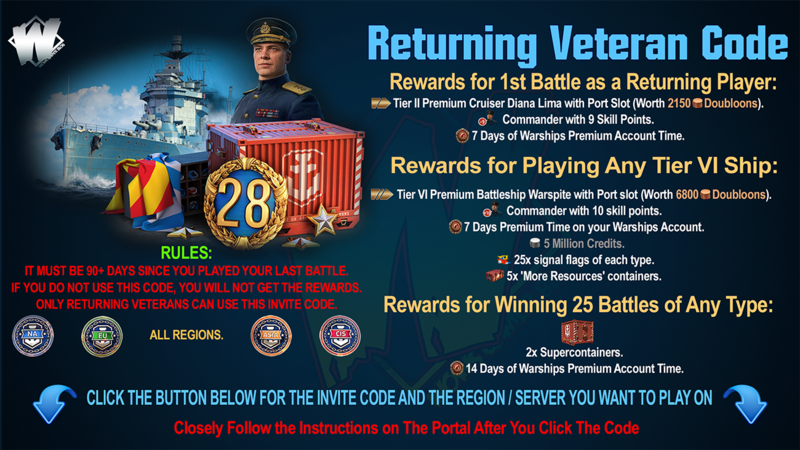 Of course, during this operation bots will fire the submarines, otherwise it won’t be challenging to battle against inactive targets. Moreover, that will allow players to feel like a real warrior but in simplified conditions. It’s worth paying special attention to catapults and ballistas. 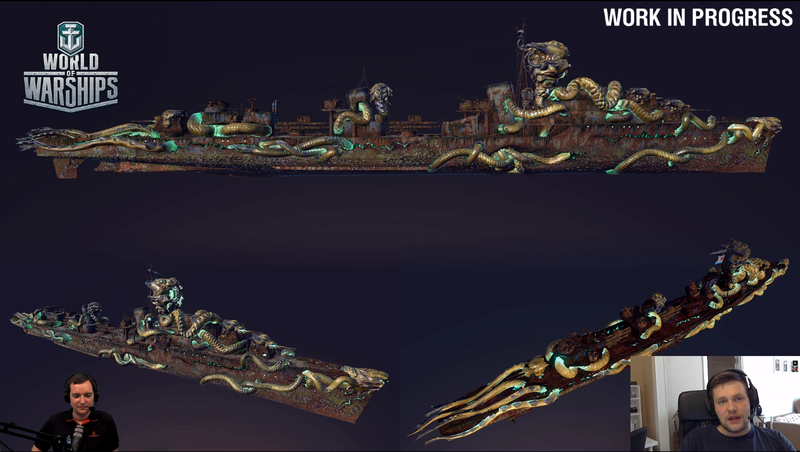 The catapults are familiar to our players due to the first Halloween operation. 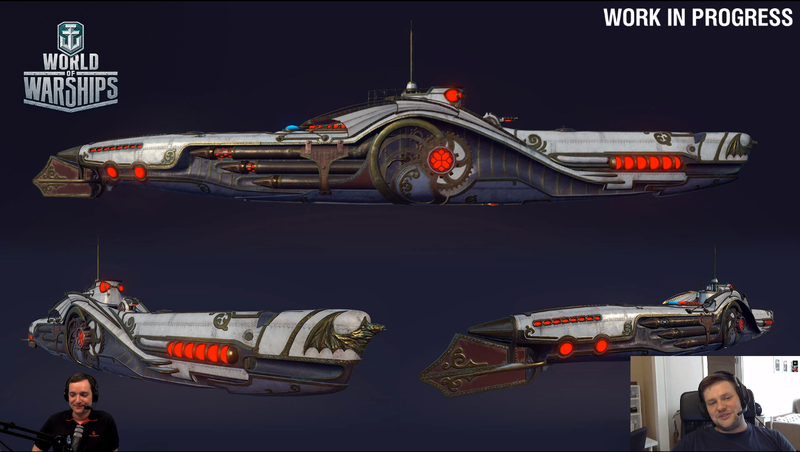 They attack using big fireballs and can hit submarines if they are on the surface. The ballistas will have similar mechanics but reaching the water they will launch depth charges. The submarines will be of several types: from small and maneuverable ones but with a low firepower, to big and sluggish ones but with a higher gun power. 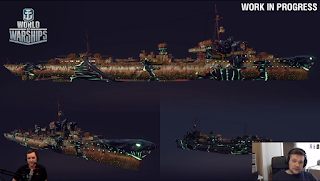 During the Halloween event you can participate even using the submarines with secondary armament. It would be also important to mention two different types of torpedoes. The first one is a “standard” type with a relatively high velocity, which is pretty common for destroyers. 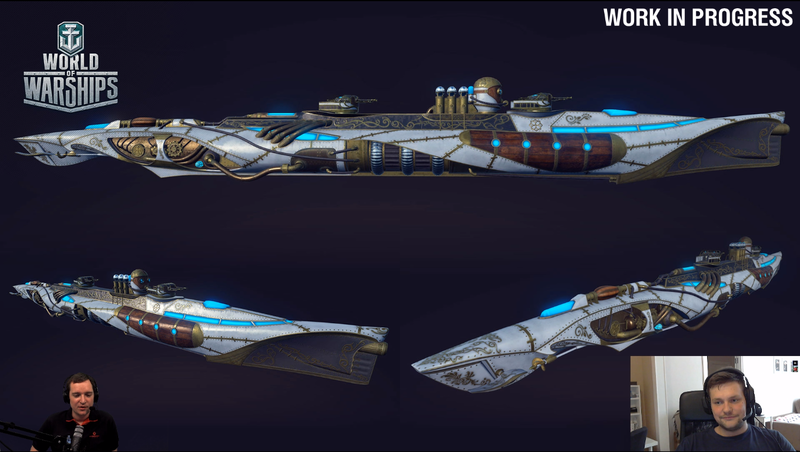 The second type is a “freezing” one, with a lower velocity and damage potential but hitting the ship these torpedoes are able to put of action all her systems for a certain period of time. We will be happy to see you in our upcoming Halloween event where you can test our new class - submarines!